Work has finished on a low cost housing scheme in Newark, creating ten new homes for local people on the housing register. 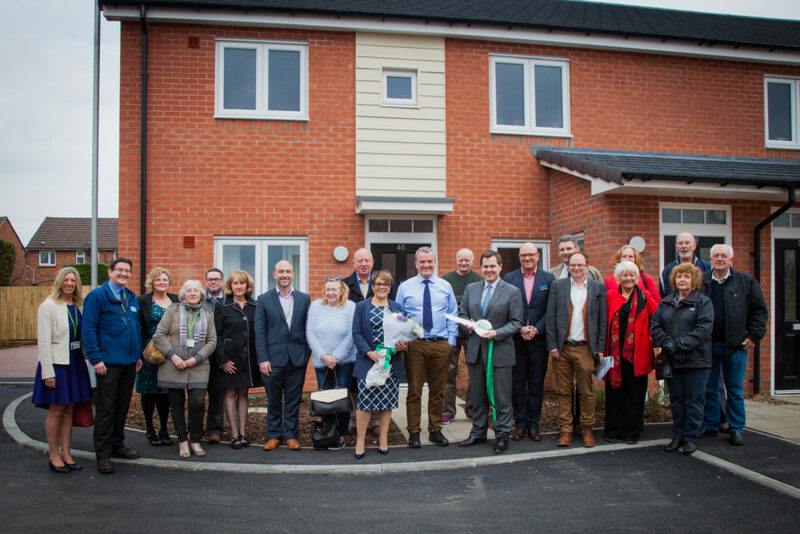 Housing provider Newark and Sherwood Homes managed the development of the new homes with funding provided by Newark and Sherwood District Council, as well as grant funding from the Homes and Communities Agency (HCA). The official opening of the development was attended by Newark and Sherwood Home’s chairman Lynn Clayton alongside local MP Robert Jenrick Representatives from Woodhead Living who built the project and Cllr Bruce Laughton. Lynn Clayton said: “Newark is a town where affordable housing is in short supply meaning that developments such as this one at Lilac Close are extremely important. “This much-needed scheme will create affordable living in an area where house prices and private rent values continue to increase. Woodhead Living delivered the apartments for Newark and Sherwood Homes and the properties will be let to people who are on the housing register. Craig Pygall, construction director at Robert Woodhead, said: “We’ve built a really good partnership with Newark and Sherwood Homes and proud to be part of a project that supports families in Newark. Councillor at Newark & Sherwood District Council, Bruce Laughton said: “This is another project that we can say has been delivered on time and on budget. MP Robert Jenrick said: “I’m pleased to see the development come to completion as we are aware that housing is an important issue in Newark.